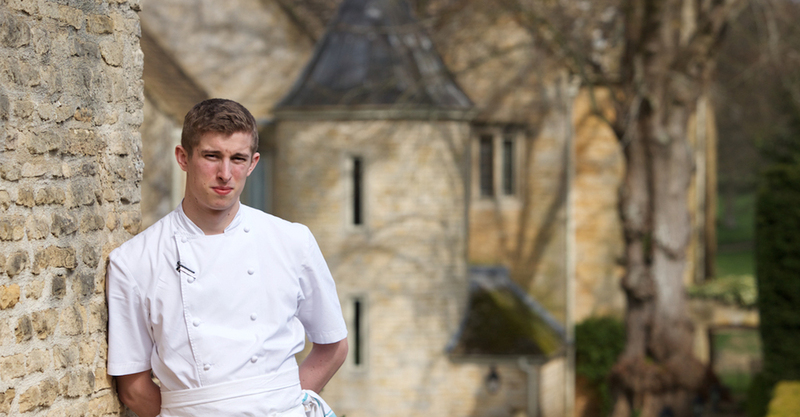 Head Chef at Lords of the Manor is Charles Smith. 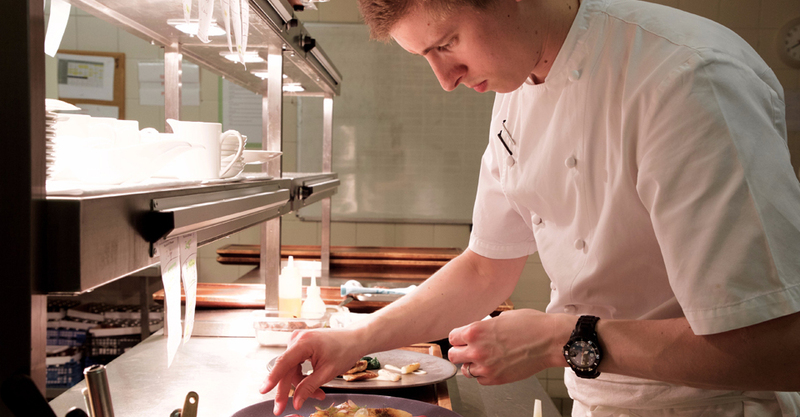 Charles joined us after gaining experience at Petrus by Marcus Wareing, Per Se (at the time rated the best restaurant in New York, rated 10th in the world), Kitchen Table, Fera at Claridges, and most recently the Michelin-Starred Alyn Williams at The Westbury. His initial break came when, spotting Gordon Ramsay at a food festival, he asked him for a job. The hotel has achieved Michelin Star status for over 8 consecutive years and is currently redoubling efforts to return the star to The Cotswolds. Charles, a Lancastrian, says that he started to take cooking seriously at the age of 14 and confesses to an obsession with the sourcing of ingredients, something that may have been instilled from childhood market visits with his great grandfather to buy fresh black pudding, smoked herrings, beetroots and damsons. Charles relishes the opportunities that Lords of the Manor’s rural setting offers and says that he simply aims to follow the seasons and to stay in touch with what is happening outside the kitchen in terms of producers and suppliers. We met Charles about half-way into his first year at Lords of the Manor. From the outset it is apparent that he is a very focused and mature person – completely at ease in the surroundings. We sit in an empty, mid-morning dining room in the hotel’s restaurant, whilst the Front of House team set up around us. As they do, Charles’s gaze flickers around the room and, you sense, he is constantly checking details. We talk a little about whether Charles has a ‘philosophy’ of cooking, a question which I’ve come to dislike asking chefs. The answer can often be too short (“dunno, I just cook”) or too long (an elaborate, not to say pretentious riff on current trends). Charles nails it though: “I do have a philosophy, I sometimes think quite deeply about these things… but I also like to keep it to myself”. As we talk, it becomes easier to define Charles’s approach. He’s wary of chasing trends, of culinary test tubes and of a blind loyalty to local produce: “It’s my job to simply source the best ingredients, regardless of where they come from” he says “for example we have salad growers from Cornwall, lamb from Cumbria and some of our fruit and veg comes from France”. You sense that he is really enlivened by the business of sourcing ingredients, something that was instilled by childhood visits with his great-grandfather to buy black puddings, smoked herring, beetroot and damsons. In fact, he sees the most essential element of a Chef’s job to be in touch with what is happening outside the kitchen, in terms of producers and suppliers and, crucially, the changing seasons. 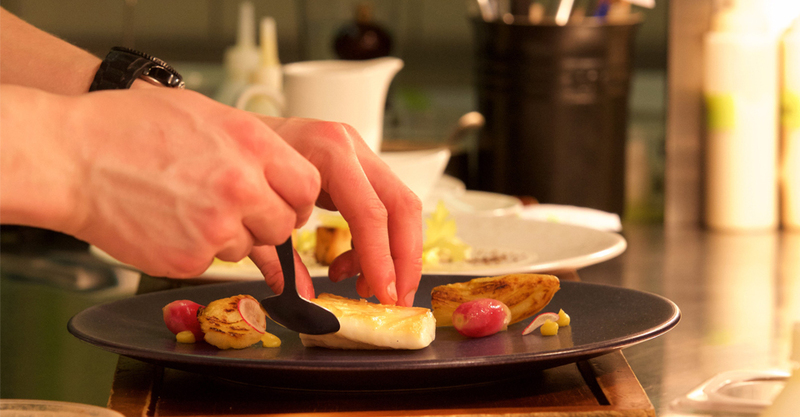 Lords of the Manor had held a Michelin Star for 8 years and a Good Food Guide entry for about as long. We talk a little about these coveted accolades – Charles having a healthy belief that it is important to cook to please customers, first and foremost. On the other hand, he points out that chefs who claim that they don’t care about awards are probably not telling the truth. 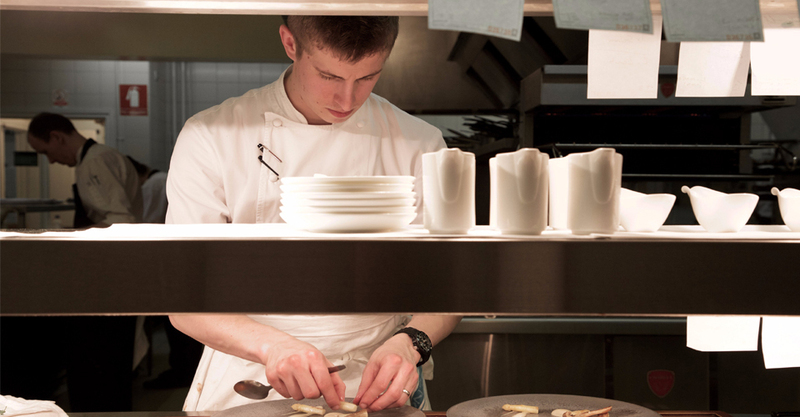 “In any career, you need a standard or a benchmark and that is the role that such awards play in our industry” he says – “what is wrong is when awards are the sole focus of a restaurant”. 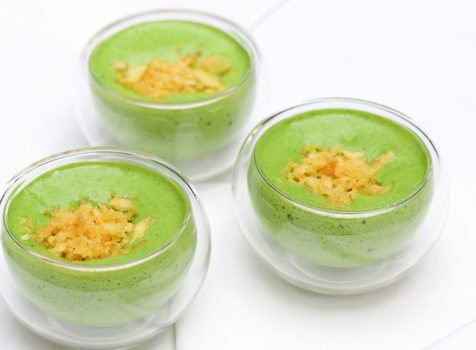 It remains to be seen if the much sought-after Michelin star will return after a change-over year in the Lords’ kitchen. Charles accepts the challenge. “Either way, what we’re about is understanding and delighting our customers. 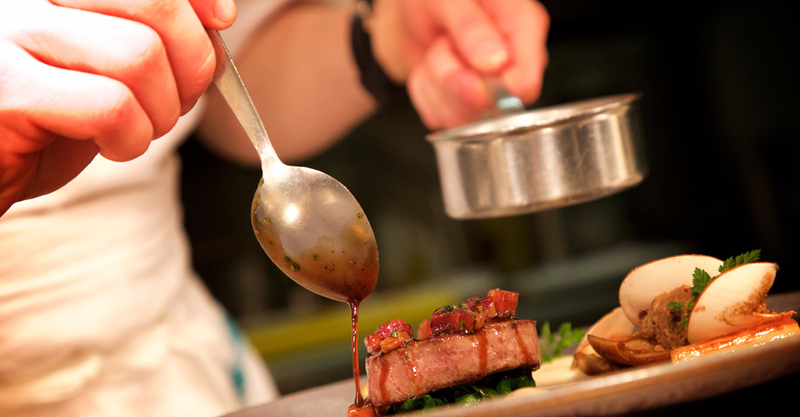 Our task for the next year or two is to build the kitchen and front of house teams here – to achieve that special standard when cooking is honest and innovative and is reaching perfection in terms of preparation and delivery. Naturally, to keep my team focussed and to keep my inspiration and innovations fresh and current, I do like to keep accolades in sight as a barometer but always remembering that we have wonderful regular-customers who are very important to us. We are always grateful to hear their lovely positive comments on our menus and we were obviously pleased to pick up the extra Good Food Guide point. However after only six months here, I think the peak of what our team is capable of is in the future”. He smiles “and the future starts with our new seasonal tasting menu”. Lords of the Manor is popular as a gourmet dining destination with a previously awarded Michelin star that also notes its scenic setting. Most ingredients are locally sourced and come from producers in nearby villages. Our menus change regularly, but see some of our examples.